The following image is the UI for setting auto-config of external monitor. 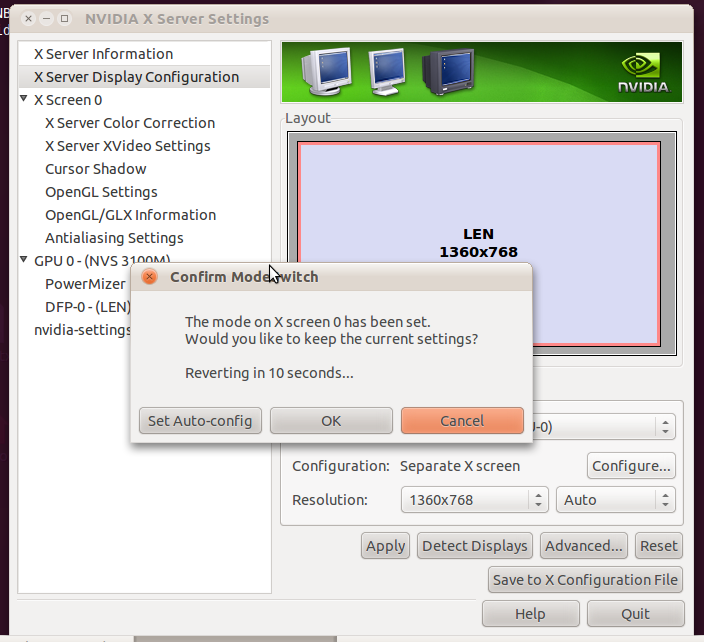 I had spent a few minutes on tracing the code of nvidia-setting and added a button on it. The dialog is displayed at the clicked of apply button. Once you click the Set Auto-Config button, the app saves the setting into file system and confirms the choice which equals ok button. That's the start of this project. But I may be busy after March. Hope I can finish it before April.